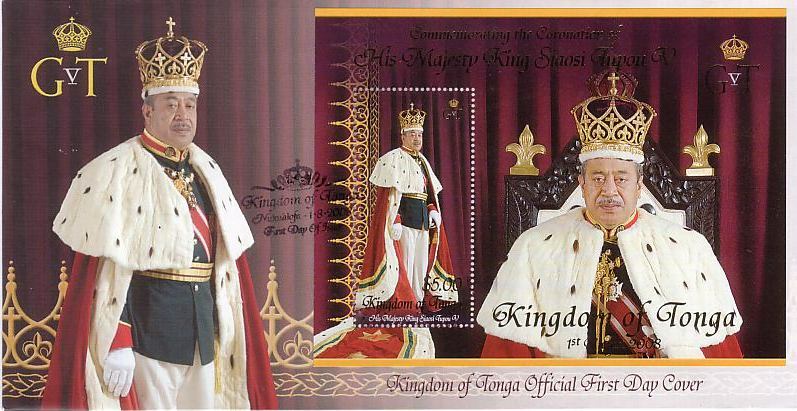 King George Tupou V (Tongan: Siaosi Tupou V, full name: Siaosi Tāufaʻāhau Manumataongo Tukuʻaho Tupou V; born 4th May 1948) passed away on 18th March 2012. He inherited the crown following the death of his father, King Tupou IV, on 10th September 2006. His Majesty's coronation as King of Tonga, took place on 1st August 2008 in the capital Nuku’alofa (see report and photos here). Only a month ago, His Majesty paid a visit to Pope Benedict XVI in Rome. 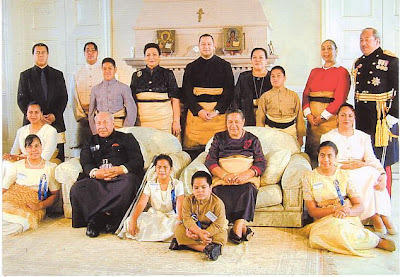 Tonga's new King ʻAhoʻeitu ʻUnuakiʻotonga Tukuʻaho was born 12th July 1959 as the younger brother of King George Tupou V of Tonga and was officially confirmed as Crown Prince by the latter on 27th September 2006. He also served as Tonga's High Commissioner to Australia, and resided in Canberra until the death of King George Tupou V on 18th March 2012, when ʻAhoʻeitu ʻUnuakiʻotonga Tukuʻaho became King of Tonga. While in Australia the then Crown Prince Tupouto'a Lavaka of Tonga visited the Army Aboriginal Community Assistance Programme (AACAP) in Mapoon, Queensland on 27th August 2009. The new Crown Prince is His Royal Highness Prince 'Ulukalala, who married Sinaitakala Tu'imatamoana Fakafanua in August 2011, als reported here.